I want the pizza banner at like level 68 or whatever it is. I finally hit this shot after trying to do it many many times in the past. Thanks for the pass Red. Looks like we’re getting wheels this time. Much better looking then the last two times. Agreed. Finally a worthwhile reason to get the upper ranks. So who hasn’t finished their rank rewards and still plans to? GWJer up and get er done. Bronze and Silver wheels look horrible compared to every other one....couldn't they add just the tiniest about of glow? I peaked at Diamond 3 back at the start of the season. But I've played less and less after the baby so I doubt champion is within reach anymore. I'll just be content with what I got. Except blue > purple? I really only use 4 colors on my cars.. Blue, yellow, white or black, so purple does nothing for me. Will be content pubbing my way to diamond rewards and calling it a day. I would love to hit diamond but I don’t think it’ll happen any time soon. I wish they stuck to their previous statement about not always using the rank colors for rewards and I wish the champ ones were white. Purple and really bright means I will find a car to put them on but it won't be my main cars. I usually use subtle wheels. I'll probably use the silver ones if they fit nicely with a white/gray car. When I look back at which rank reward items I actually use regularly it is only the lower rank ones. I use the season 2 challenger and prospect boosts on gold and white themed cars and I use the season 4 silver and gold trails regularly on all my white and gold themed cars. I use no other rank reward items regularly. The reason those older prospect/silver items get a lot of use is because they are essentially white and pretty subtle and work very well with different designs of cars. If they made the new silver reward wheels more white but still subtle they would be far more useful over time than the flashy higher rank ones. Playing solo has reminded me why I only play this with buddies anymore. Ballchaser randoms quit after 1-2 goal deficit then you play it out with asshats or take the forfeit. I don't know why they ever decided to make rando teammate quits a punishment. Have you tried using the Xbox LFG (looking for group) feature to find teammates? I used to use that when I played on Xbox and found some good people (and some not so good ones). Cross system parties are so close now. I really hope that works well. One issue with it is there is no cross system voice chat and there is no Discord app on consoles. You’ll probably have to use the phone/tablet app to join voice comms. The PC Xbox app works pretty well for small voice groups. Do you know if cross system will allow cross clubs? Yeah, I'm excited for cross platform play. I also have it on the PC, and Switch, but the exercise bike is at the xbox. I still find it baffling that they chose to punish the player that doesn't quit. I can't imagine I'm the only one annoyed by that. If their goal was to want me to play less, it's working. I agree with you, with that said it doesn't seem to happen a lot to me in ranked mode. I only play ranked but not that high (Usually plat 1 doubles/ plat 2 trips). Happened 2 out of 3 games last night. Then my buddy jumped on and all was well. We we do jump into a triples, with just 2 of us, it happens 1-2 times a night though (10%). At least in those cases we still pull off wins sometimes. I'm plat 2 in standard also. Well, after last night I'm back to plat 1. I only play a handful of ranked each night though as I've been spending more time in casual working on some things. I don't know. I didn't see it mentioned in any of the official notes. Possibly they answered about it on Reddit. They immediately punish the person who leaves. Their teammates are penalized for a loss if they lose. If they didn't punish the left over players for a loss then people would use this tactic to avoid the impact of a loss. Every match you're losing just have a friend leave and the others don't lose any MMR? Yeah, that would be exploited pretty fast. This would especially be true for smurfs as they would just have the smurf quit and take the loss thus saving the smurfee from losing any points. The smurf would rank down (which they want anyways) and only get a 5 minute matchmaking ban. The ban length goes up over time to try to dissuade someone from doing it a lot but I'm not sure how well that really works. Generally if someone was tilted enough to leave then they were tilted enough to be a useless or even detrimental teammate so them leaving might have just saved you from having to play a whole frustrating match with them. I know that isn't comforting but it is likely true. Is there a better way for Psyonix to handle people leaving mid match? I don't know. I've been thinking of getting my ranked wins done on Xbox so that I get the reward wheels on there too. I don't have any rank in the other sports modes (hockey, dropshot, hoops, rumble) since I've never played them on there. Any Xbox players want to team up? 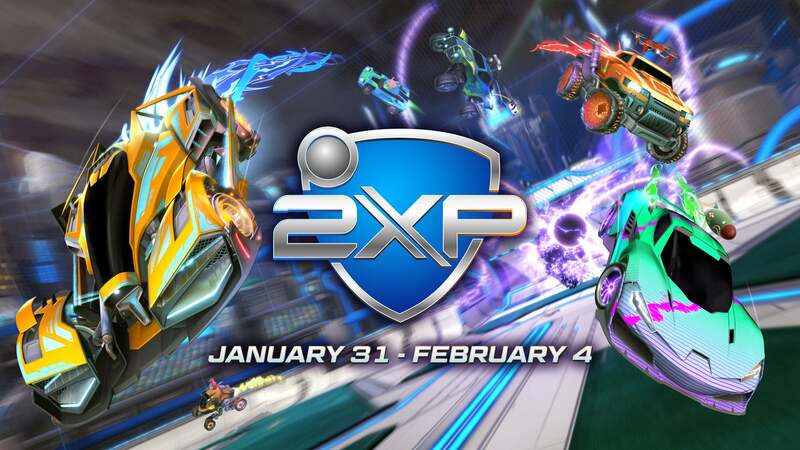 Have any of the Xbox players here played RL on both the original Xbone and the Xbone X or S? I’m curious if you find it runs better on the newer consoles or just looks prettier (on X at least). I play with every graphics option off (especially vsync) and it still feels inconsistent on my “day one” Xbone. I get some screen tearing as expected but also the framerate does not seem to be a consistent 60. It’s playable but inconsistency throws off my controlled touches which can be frustrating. The PC version has spoiled me with how smooth it can run at high framerate. If the X plays butter smooth im interested (especially since I want the X for Anthem and other things anyways). When they announced the enhanced version for Xbone X I really hoped they would support higher frame rates than 60 but after searching around I see that still isn’t true. The Xbone X supports freesync at 120hz so it would be awesome if RL allowed 120 FPS. That whole tactic argument is only relevant for parties. Yah, If my buddy quits I understand I should be punished but not if some rando racist homophobic (usually) troll does. Was playing a 3v3 with randos last night. We got down 3-0 fairly early, maybe 3 minutes left. 1 of the guys quits on us and then we proceed to come back and tie the score 3-3 and send it in OT. Then shortly into OT I missed a clear and we ended up losing, but still, it was a nice comeback when we were playing 2v3. Like Panda said, sometimes that toxic person quitting is actually a good thing. I did mention that on 3s we have a chance and sometimes win. However, on doubles, if the other team is remotely competent it is a guaranteed loss. Was playing 3v3 two weeks ago or so. We went down 3-1 about 1.5 minutes in. My teammates both quit. I ended up losing 4-6...but it was 4-4 with under a minute left. Boy that was satisfying!! Everyone witnessing all of these quitters, this is in Competitive? Either I'm just lucky, or don't play enough competitive, but I rarely get quitters even if down big. I do get requests to forfeit, and to be honest, if 2 of 3 are requesting forfeit, I'm usually going to be the 3rd because I'd rather take the L and find another game rather than have 2 discontent teammates. Competitive. Seems to occur more often when playing solo matched with other singles. The time window I play probably doesn't help 8-11 PM EST. That's usually when all the worst of the worst come out in all competitive games (not just RL). I do get requests to forfeit, and to be honest, if 2 of 3 are requesting forfeit, I'm usually going to be the 3rd because I'd rather take the L and find another game rather than have 2 discontent teammates. I usually won't "agree" to forfeit unless we are down big. Sometimes all it takes is a counter goal to change the spirits of the team. And comeback games are the most satisfying! I see a couple games a night where teammates want to forfeit early and I go along with it only if I’m annoyed at the teammates themselves. I’d rather play out a game I’m down by 3 if I actually feel my teammates won’t be useless. This is specific to solo standard tho. In regular standard or doubles I’m not seeing anywhere near as many people quit or forfeit early but I’m higher ranked in those on Xbox. My personal opinion is solo standard still seems to be a game mode for teammates that don’t know how to or don’t intend to play RL like a team. In competitive I only have people quit like that once in a while. Maybe once every 15-20 games. It happens all the time in casual though but I'm actually ok with that because I treat casual more as a training ground anyhow. Xbox have mixed with PC players for a while now due to crossplay (Any player with a "Psy Net" symbol but no XBL account). I actually see more toxicity typed from the PC side of things likely only because they get by type filters that get you banned on Xbox live. Especially with player and team names. I'm guessing the lower to mid rankings are just worse in terms of behavior and teamwork. They are in other ladder ranked games I have played as well semi-recently (HOTS and DOTA).